Kim grew up on a small farm in western New York and received a B.S. in Environmental Science from SUNY Buffalo. She spent several years in western Washington working in horticulture before returning to New York to work on the family farm and achieve a real sense of local food systems. For four years Kim helped run the farm where they raised over 20 different crops that were sold at their roadside stand and local farmers markets. She and her family eventually returned to Washington and she began working for Dr. Jones in 2012. Kim’s work includes assisting in the breeding program’s field research, wheat and flour analysis, organizing community outreach events, and connecting farmers with bakers, chefs, and businesses to establish profitable and sustainable partnerships that will support the growing regional grain economy. 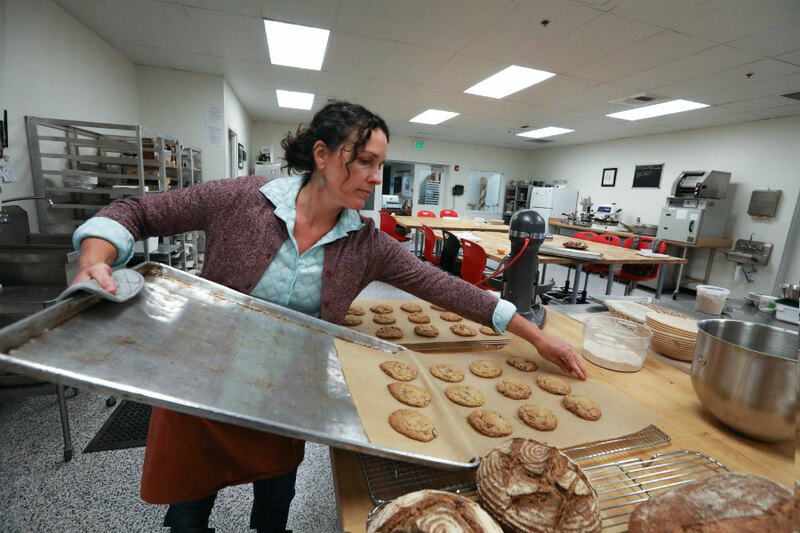 She is co-author of Bread Lab!, a children’s book about the science and fun of sourdough bread baking.